If you’re a new author, you can cut out the submission process with a publisher. If you’re not established, finding a publisher for a book can be the longest part of the process. Also, once you’ve submitted an electronic copy of your book (like a PDF file or an e-pub file for e-books), the book is available to the public very quickly. I self-published through IngramSpark. They provided all of the specifications and instructions for the electronic PDF file on their web portal. Amazon CreateSpace has a similar process (IngramSpark and CreateSpace are the two big names in self-publishing). Within a week of submitting the electronic file, I could directly order copies myself from IngramSpark. Within three weeks, my book was available through online distribution channels like Barnes and Noble and Amazon. If you’re not familiar with print-on-demand services (I wasn’t when I started), the big benefit-of-print on demand is that copies are only printed when people order them. This means that you don’t have to pre-print copies that may never sell. 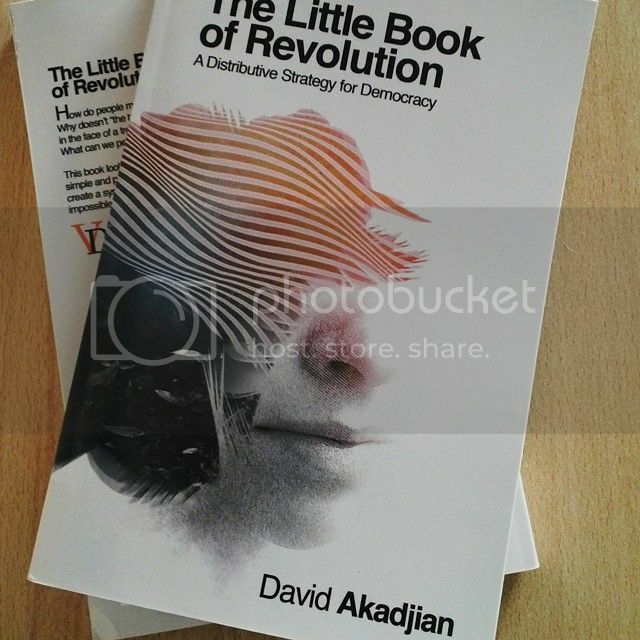 When someone orders through a distributor like Amazon, the book is printed and shipped. This is ideal for new authors. Statistics say that the average self-published book will sell between 100-200 copies. Offset printing only starts to make sense from a financial point of view if you can guarantee selling more than 1000 copies. 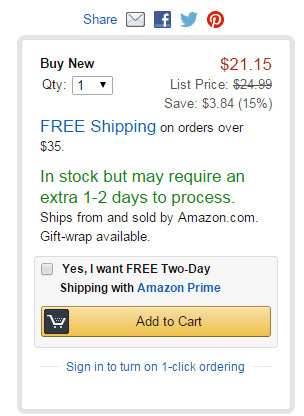 The extra 1-2 days shown in the picture is because it’s a print-on-demand book. I’d heard that print-on-demand had reached the point where the quality was nearly indistinguishable from offset printing. I found this to be true with IngramSpark and was very pleased with how it turned out. I wanted a color cover with black and white interior and black and white graphics. To me, this was the blend of quality and price I was looking for. I didn’t need color illustrations and they would have driven up the cost. However, quality color printing was available as an option. 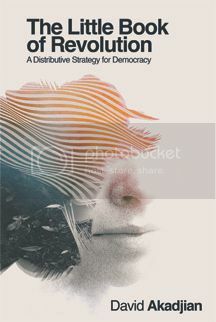 Other options included hardcover, a variety of different sizes (in both paperback and hardcover), and different finishing options such as a matte or glossy cover. I’ve found that illustrations significantly help people learn so this was very important to me. I also wanted to keep the price reasonable so black and white interior printing and a paperback cover were perfect for me. I was impressed, however, with the number of options. This holds for traditional publishing as well as self-publishing. Before deciding to publish a book in either world, you should think about who might buy your book and why. Even if it’s a fiction book. I’ve been writing about politics for some time. One of the things I’ve noticed over the years is that people spend a lot of time getting angry and playing the liberal/conservative game. I used to too. All you can do is humiliate them. I’ve found this to be the exact opposite of what you want to do if you want to win people over. Fortunately, there’s better ways. I design training for a living. Negotiation training, communication training, sales training, and working with difficult people. I’ve written about how to have better conversations with people for years. It’s a topic that I felt warranted a book. If you are considering writing a book, I would ask the question: Who is your intended audience and what do you want to accomplish? Even if it’s a fiction book. Who are you trying to reach (young adults, the science fiction crowd, romance audience, mystery, etc)? Think about why you’re doing this and who you’re trying to reach as well as why you might want to go the self-publishing route. 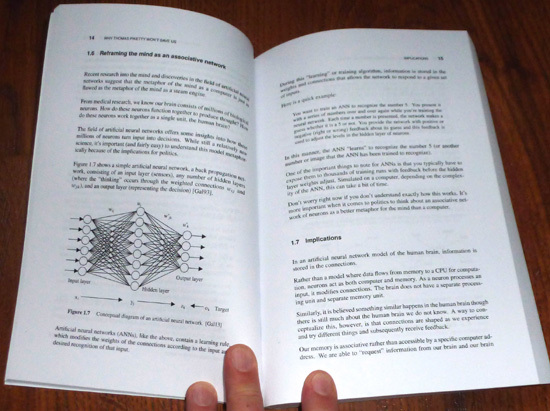 You can release your book as a printed copy or e-book or both. I chose to go the printed route initially because my book is a guide and I wanted illustrations. This was easier to do in the printed format. For printing, you simply have to send a PDF document in the appropriate format. In a future post, I’ll talk about a way to do professional typesetting without having to learn a program like Adobe InDesign or Quark. 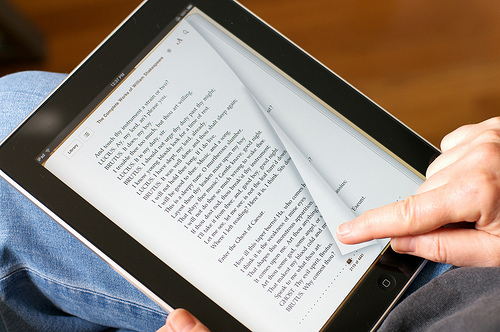 To produce an e-book, you need to submit an electronic file in the e-pub format. I’m learning how to do this now. If anyone’s done this before, I’m interested in how you did it. When you self-publish, you have complete control over your book. If you publish through a publishing house, you may not have the same level of control. You might have to change the content or title based on editor feedback. The flip side of this is that I would highly recommend finding a good editor. A good editor that understands the industry and what you are looking to do can significantly improve your book. Unfortunately, the editors I knew either understood political books or instructional books. In other words, I didn’t think I could find someone who could do significantly better than me from a content editing perspective. So I decided to do this myself and use a review process and a copy editor. With self-publishing, you have a great deal of freedom. Just remember that this can be both a blessing and a curse. The feedback I’ve gotten from people has been amazing. By going the self-publishing route, I was able to put a draft together quickly in 6 weeks that demonstrated the look and feel of what I wanted to achieve. Before releasing to distribution, you can print copies for yourself. I decided to use this option in a review process. I printed 30 copies for Netroots Nation in July. It was rough. I don’t know as I could even have called the book a 1.0 version. It was more like version 0.5. But I had something tangible that I could hand to people that looked and felt like a book. Even if it was raw. I had something that I could ask for feedback on. This is how workshops and training are designed. You create objectives, work with subject matter experts on content, figure out interesting ways to teach the content, and then you pilot it to see how it works. After Netroots, I spent 2 months rewriting based on feedback. The feedback I received help me to make it at least a couple orders of magnitude better than the version I’d put together for Netroots. If you go through a publishing house, most of the money goes to the publishing house. The publishing house typically gets at least 85% and you probably have to pay an agent fee in addition. You may make $1 to $2 per book. I set the pricing up so that I would receive roughly 40% after printing and distribution costs. 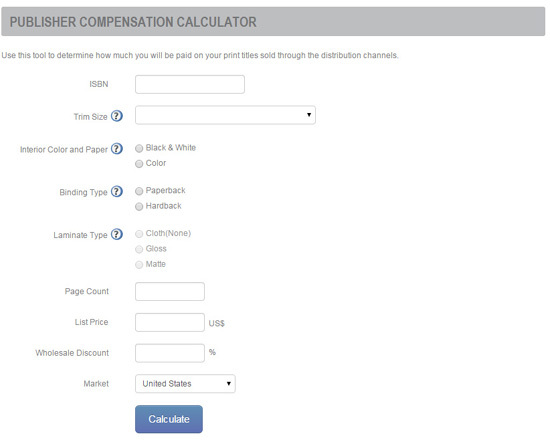 IngramSpark has a pricing calculator that helps you determine how much you will make after printing and discounting to distributors like B&N and Amazon. To put this in perspective, I will receive 5 to 10 times as much through the self-publishing options I chose than I would have through a publisher. And no, I’m not going to be able to quit my day job anytime soon, but I’m not shy about believing people should get paid for providing a useful service. If I were teaching the content as a class, the cost to participants would be significantly higher. Probably out of reach for most people. For me, self-publishing provided a way to reach a broader audience than I could through instructor-led training at a much reduced cost to people who might be interested. The big benefit with self-publishing is that there are many options and you can choose how to set it up according to what’s going to work best. IngramSpark and Amazon CreateSpace both provide access to global markets. IngramSpark has a distribution network that reaches 87% of the world. Since I expect most of my sales will be online and not through bookstores, this wasn’t a driving concern for me, but it is something to think about. One of the reasons to go with a publishing house is that they can help with promotion. As a new author, until you build a name for yourself, you will likely be doing much of the promotion even if you do publish through a publishing house. If you have some experience and feel comfortable promoting your book, self-publishing may be a better option. It also has less of the stigma that it used to have in the academic world. In my case, I wasn’t worried about the academic world. I wanted to get something out there quickly that I thought could help people. I wanted to learn about all aspects of making a book. I wanted to learn about artwork. I wanted to learn about specifications. I wanted to learn about writing. I wanted to learn about typesetting. I wanted to learn about marketing. I wanted to see if it was possible. Now I didn’t necessarily want to do all of this myself, but I wanted to see how much of it I could do on my own and where I’d need help. The amazing thing I found is that the publishing world has come so far that almost all of these things are within reach. Before, they were only available to established writers. There truly is a sea change going on in the world of publishing. I found it easier to self-publish than I ever thought possible when I started. In upcoming posts, I’ll go into more detail about topics like typesetting, IngramSpark vs. Amazon CreateSpace, cover art, images, knowing your strengths and filling in your weaknesses, copy editing and review, creating an e-book, and marketing. Please post in the comments if there’s something specific you’re interested in. And if you’ve published or are thinking about self-publishing, what did you do and why?